Here at the Nanaimo Museum, one of our specialties is events. What really makes Nanaimo Museum events so distinctive is our focus on the heritage and cultural aspects of our community. From exhibit openings and formal banquets to historical tours and multicultural celebrations, we strive to offer the best educational and entertaining programs, activities, and events. One of the main benefits of our 16,000 sq.ft. facility is that we have more space and resources, and therefore more options in the kind of events we can host. From a handful to hundreds of people, we can now accommodate a much wider range of events from small birthday parties in the programming area to major gatherings in the gallery. Check out the events we have happening this season below, or follow the links for details on our guided and family programming as well as our home-school, school and ESL offerings. Crafternoons are returning for 2019! We’re currently looking for makers, artists, and knowledge keepers to teach a craft, skill, or other participatory cultural practice in Crafternoons sessions. Please visit the Crafternoons 2019 page to learn more. For hopeful participants, Crafternoon offerings should start appearing in our calendar below as early as March 2019. 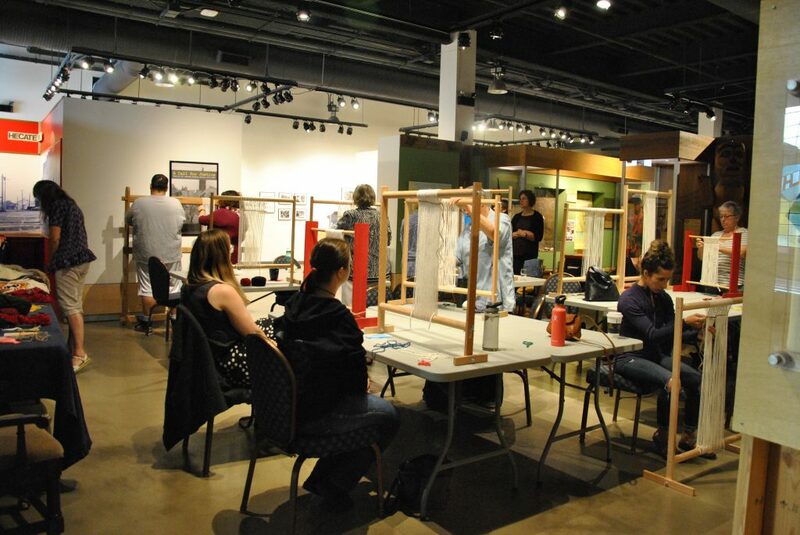 Although the Nanaimo Museum organizes many of its own unique events, such as the opening receptions of major traveling exhibits, our Sports Hall of Fame Induction Banquet and special cannon firing ceremonies at the Bastion, it is also here for other community groups and organizations to utilize. Whether it’s for a conference delegate event, a news conference, a scholarly seminar, a corporate meeting, a wedding reception, or another special social gathering, the museum has facilities and services available for hire.